Through Tangle Harmony I found another challenge to participate in this week! This challenge is hosted by Judy West at Creative Doodling and she is offering a copy of her new book to a chosen winner. 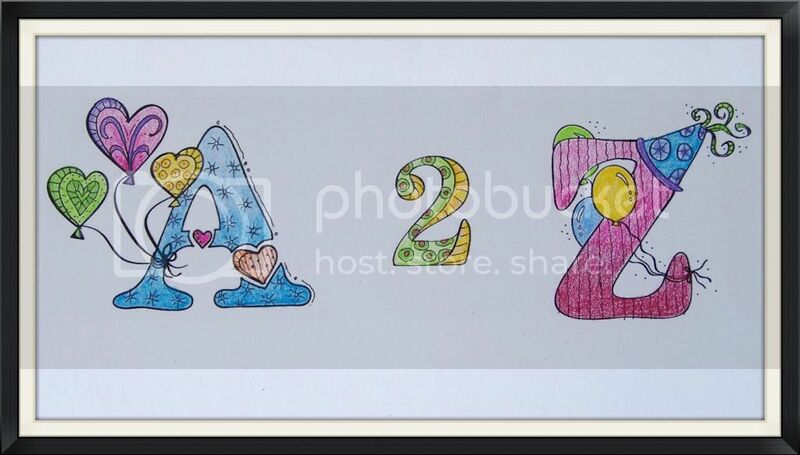 The image has been drawn by Judy so she has asked us to copy, print and tangle/colour the A 2 Z example.